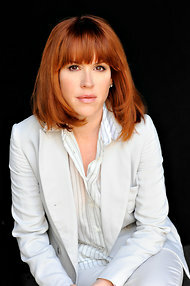 The Breakfast Club and Pretty in Pink‘s star Molly Ringwald writes for The New York Times about her abilities not only to play characters, but also to write them. Speaking of her new book, When It Happens to You, Ms. Ringwald explains how Joseph Campbell’s work has helped her create complete, three-dimensional characters to populate her stories. Read more about Ringwald’s life and career.